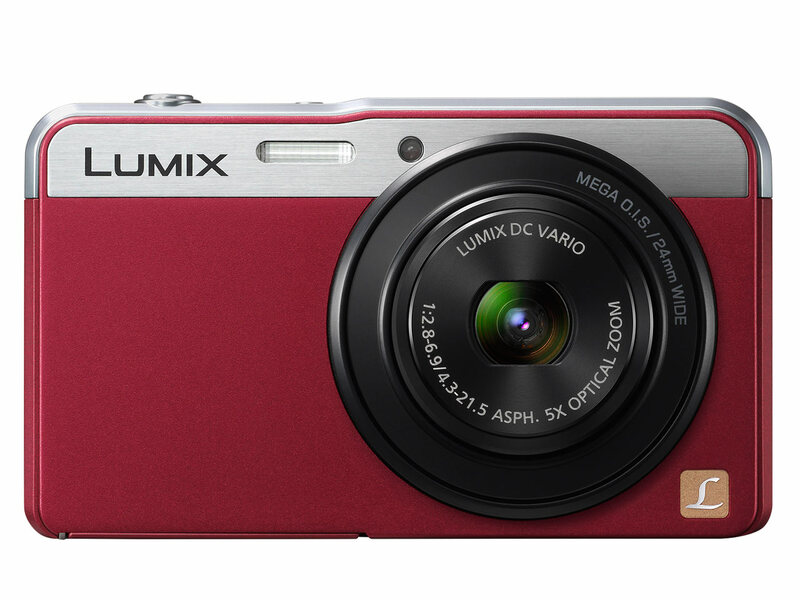 Panasonic Lumix DMC-XS3, is a compact ultra slim camera with just 14mm thickness. It as an optically-stabilised wideangle 24-120mm (5x) zoom lens, a 14.1MP MOS sensor, and can record Full HD video in MP4 format. Also includes a range of Creative Filters which can be used when shooting panoramas,as well as normal. The XS3 s a Europe-only model, and will be available in September at a price of £119. 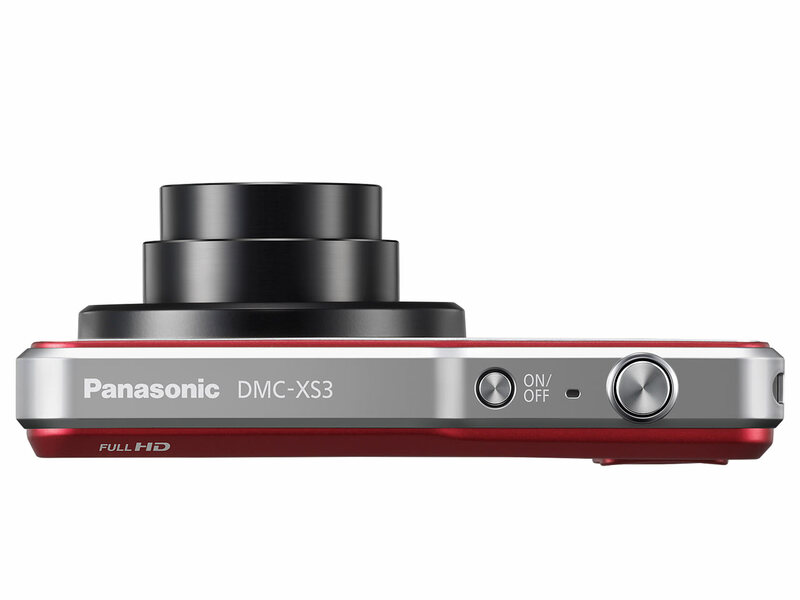 Panasonic’s new DMC-XS3 offers users the ultimate in compact style and substance, combining superb camera performance with stunning design. Carefully designed from every angle, the XS3 is a small enough to slip inside a pocket, yet packed with technology to ensure those spontaneous moments are captured beautifully. With 14.1 megapixels and at just 14mm thick, the XS3 is the perfect accessory for anyone taking regular pictures on the go. 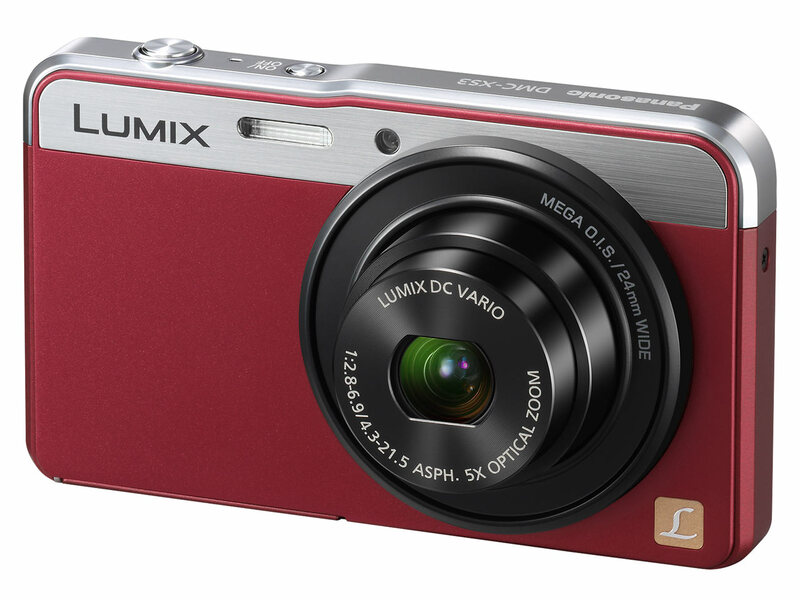 Akin to a traditional analog camera design yet with an added futuristic appeal, the XS3 looks stylish and edgy. Yet the appeal of the XS3 goes more than skin deep with a technical specification to be proud of. The XS3 incorporates a 14.1-megapixel High Sensitivity MOS sensor for clear, crisp images even in low- light situations. Perfect for using at parties, at nighttime or for pre-dawn walks in the park for example, the XS3 ensures low-light situations are catered for. The advanced image processor Venus Engine further enhances images with advanced noise reduction. Together, these technologies realize high speed consecutive shooting and full-HD video recording. The XS3 also enjoys a quick start-up and Light Speed AF to catch the most fleeting shooting opportunities. Comprising of 6 elements in 5 groups with 3 aspherical lenses with 5 aspherical surfaces in its unit, the F2.8 fast 24mm wide-angle LUMIX DC VARIO lens in the DMC-XS3 features a 5x optical zoom (35mm camera equivalent: 24-120mm) despite its stunningly slim, compact body profile. The 24mm ultra wide angle lens gives photographers a wider range of composition possibilities with approx. 213% larger viewing space compared to that of 35mm camera. It captures more subjects in a limited focusing distance and is good for shooting group portraits, indoor objects or dynamic landscapes. For distant subjects, the Intelligent Zoom can be used for the extended magnification to 10x by combining the digital zoom with minimum deterioration of image quality. Aspiring photographers can take advantage of a wide array of creative and artistic features. With the Creative Panorama function, it is possible to shoot a horizontal / vertical panoramic image with consequent shots taken by overlaying the previous picture and to put on a filter effect of Retro, Expressive, High Key, Low Key, Sepia, Dynamic Monochrome, Impressive Art, High Dynamic, Old Days, Cross Process and One Point Colour. The Creative Control and Creative Retouch features a total of 13 filter effects – Retro, Expressive, High Key, Low Key, Sepia, Dynamic Monochrome, Impressive Art, High Dynamic, Cross Process, Toy Effect, Miniature Effect, Old Days and One Point Colour. The Creative Control lets users shoot with a filter effect while checking how it affects the picture. The Creative Retouch allows users to apply a filter effect on the picture even after shooting in camera – perfect for transforming a shot post-shooting. Fully versatile, the DMC-XS3 provides 1920 x 1080 full HD video recording in MP4* format for effortless playback on a computer or other portable electronic devices without having to convert the files. Inherently user friendly, a dedicated button enables users to instantly start recording videos while shooting photos without having to make any extra settings, making it extremely convenient to switch between photo and video shooting instantly. The popular iA (Intelligent Auto) can also be used in video recording and users can enjoy max. 4x zooming in video recording**. The Intelligent Auto (iA) mode can be set with one-touch for the reduction of misshots. With iA it is easy to take great photos anywhere, at any time. The MEGA O.I.S. (Optical Image Stabilizer) is integrated in the iA mode for to suppress hand-shake. Apart from the digital image correction, MEGA O.I.S. corrects a jolt of light axis by shifting the O.I.S. lens unit to offset it, resulting in clear, sharp images, without any digital affect or deterioration on the image. In addition, Intelligent ISO Control, Intelligent Scene Selector, Intelligent Exposure and Face Detection automatically work for users to get the best result. With a host of cutting-edge technologies, and a beautifully designed form, the XS3 offers the perfect combination of style and performance. The DMC-XS3 will be available from September in a choice of two colours. *Sensor output is 30p (NTSC) / 25p (PAL). Use a card with SD Speed Class with “Class 4” or higher when recording videos. SD Speed Class is the speed standard regarding continuous writing. Maximum time to record motion pictures continuously with [MP4(FHD)] is 20 minutes.